By Clemente Lisi – NEW YORK, NY (Dec 11, 2017) US Soccer Players – Are they the best team in MLS history? That’s the question many are asking following Toronto FC shutting out Seattle for the 2017 MLS Cup. Winners of the 2017 MLS Supporters’ Shield and the Canadian Championship, Toronto has the treble. It was a fitting finale played out before their home fans. It's also a season marked by records and amazing individual performances. Toronto set the regular season record for most points, finishing second all-time for goal difference and goals scored. The team ahead of them in the record book, the '98 LA Galaxy, played in a league that had just expanded to a dozen teams. One of those expansion teams knocked them out of the playoffs. That's why Toronto is dominating the current conversation for best MLS team ever. They finished out their run of form with all the available trophies. It wasn't easy for Toronto, a team that took eight seasons just to make the playoffs. Last year's loss to Seattle on penalties loomed large over 2017. 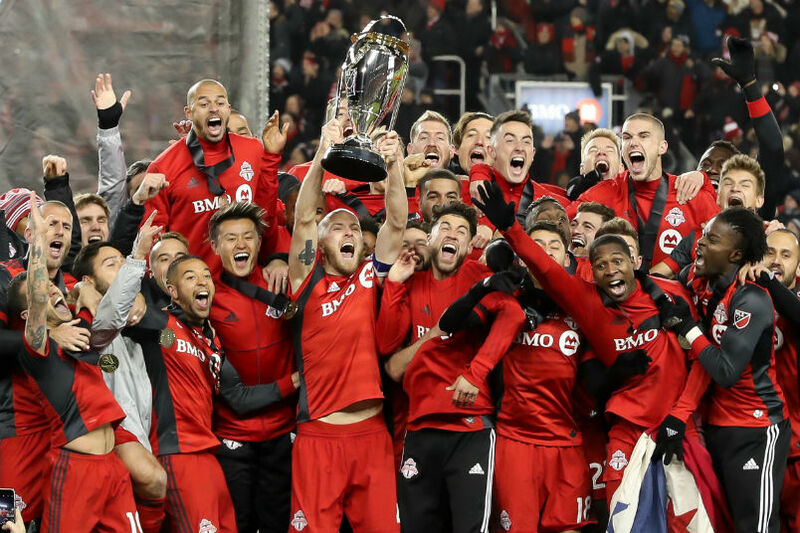 Instead of using it as an excuse, Toronto returned to what worked to get them to MLS Cup. Michael Bradley, Jozy Altidore, and Sebastian Giovinco – three of the greatest players in league history – raised their game this season. The result was a brand of high-energy, one-touch soccer. It was a style that was too much for MLS teams to handle, including the defending champions on Saturday at BMO Field. The team also spent money, another sign that success in MLS increasingly comes from buying and selling players, not by being frugal and possessing limited resources. From worst to the best-ever in just five years is an astonishing turnaround. For an organization that so many now praise for having done so much, the next question is what’s next? Sports can be unforgiving. Asked about 2018, Giovinco told reporters his goal is to “confirm that we are the best.” As a result, Toronto may have to go on a deep run in the CONCACAF Champions League, a tournament dominated by Mexican teams and one in which MLS teams have been unable to win in recent years. That starts in February. The US National Team’s failure in October to reach the World Cup for the first time since 1986 has “been traumatic to the system.” That's how commissioner Don Garber put it in his recent State of the League speech on the eve of MLS Cup, and has “us all taking a step back.” Exactly what role MLS, a league that has bettered the fortunes of many National Teams in CONCACAF, has in developing players and whether they should play here or go abroad is a major talking point this winter. 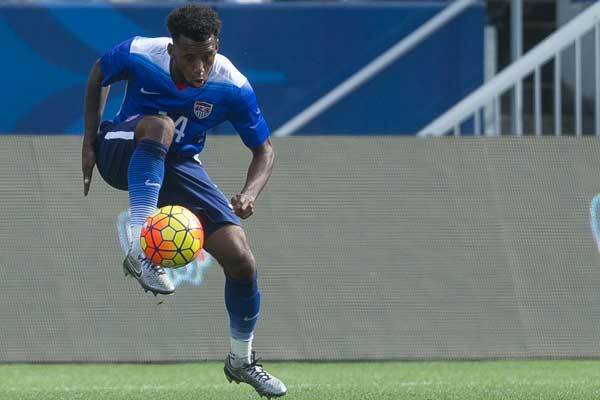 How should this country produce players? What role does MLS take in all of this? What changes need to take place before the next World Cup? The USMNT is waiting on a new coach. US Soccer is waiting on a new president. News conferences this past season involving MLS coaches made for some fun. Whether they were arguing against analytics or bad refereeing, the coaches provided reporters with plenty to cover. After he was ejected from RSL’s 1-1 tie with Sporting Kansas City on July 22, Real Salt Lake coach Mike Petke proceeded to host what may be the oddest news conference in league history. He handed copies to the reporters assembled two photos – one depicting Sporting KC’s Ilie Sanchez grabbing a Philadelphia Union player’s throat in view of the referees during an earlier game, which he noted did not see any retroactive suspension. “Look at these two pictures," Petke said. "I have two more, but the freaking printer didn't work, so I couldn't print it up. But I’ll get you those slides as well.” Petke was later fined $3,000 for his postgame comments. The other is Pablo Mastroeni. The ex-Colorado Rapids coach lashed out against the overuse of analytics to determine which teams in the league play best. After his team defeated Sporting KC 1-0 on May 27 – a game where the Rapids were out-shot 24 to 6, out-passed 629 to 225, and out-possessed 73% to 27% - Mastroeni said: “People have lost the plot … (statistics) lose to the human spirit every day of the week.” Mastroeni didn't see out the season with the Rapids finishing 9-6-19. VAR, which got mixed reviews at this summer’s Confederations Cup, was used in MLS during the second half of the season following the All-Star Game. The replay system, currently in use in Germany and Italy, has already become controversial. The use of VAR isn’t going away. It will be used at this summer’s World Cup and could very well become a major part of the game throughout the world over the next few years. The MLS All-Star Game may not mean much, but it did show how the league has improved over the years. The All-Stars finished 1-1 in regulation against Real Madrid, with the Spanish club winning on penalties. The game was both entertaining and telling. The league’s 2017 MVP Diego Valeri, David Villa, and Giovinco have become models for what a foreign player who chooses to come here should be. Similarly, the move by Dom Dwyer from Sporting Kansas City to Orlando City earlier in the season begged the question: Is MLS entering an era where clubs fall into two separate categories – ones that sell and others that buy? Whether players such as Almiron stay or leave depends largely on whether MLS teams can keep that pipeline of young foreign players, primarily from South America, flowing into the league. It has done wonders in trying to gain credibility among Hispanic viewers – a key demographic MLS has been chasing for decades – while also improving what we all see on the field. LAFC joins the league next season. An expansion announcement is imminent for two more teams. There's also a good chance the Crew only has one more season left in Columbus. That story managed to push aside the rest of the expansion talk. The Crew reached the Eastern Conference Finals while their future played out publicly. In Columbus and throughout the league, fans are asking serious questions about their clubs and the league. While the Columbus saga plays out, the league will pick two cities among Cincinnati, Detroit, Nashville, and Sacramento for the next round of MLS expansion. That announcement should come at the end of the month. Sacramento and Cincinnati appear to be the frontrunners, although anything can happen when it comes to which cities get a franchise.